Many of the things you learn and the people you meet in Aggieland involve activities in your residential community. Here are some of the academic initiative events and programs that occur regularly in our on-campus residences. Academic Skills Presentations – APMs offer weekly topic-based presentations that are meant to develop or expose residents to new study skills and techniques. Sessions include: time management, writing an “A” paper, learning styles, and more! Check your TAMU email for information or select Residence Life on our Event Registration System to view upcoming sessions. Peer Panels – Peer Panels are events where upperclassmen and/or faculty and staff discuss an academic topic. Its an opportunity to share your academic story. Past panels have focused on study abroad, test preparation, overcoming academic probation and more. Request a Program – The APMs are available to co-program, offer a program in their curriculum or design a program to meet your needs. Please submit a program request and a representative will be in touch. Dinner with a Prof is a monthly event in which on-campus residents have the opportunity to engage in dialogue with faculty, outside of the classroom. Set in front of the fireplace in Hullabaloo Hall on the first Tuesday of the month during the academic year, faculty are invited to share their field of study, their personal journey, or life advice through engaging conversation with students. Students who attend enjoy a delicious meal, meet other students, and learn that faculty members are real people, too, who can and want to be approached! Watch your TAMU email for monthly invitations, or visit our Event Registration System to see the upcoming month’s event. 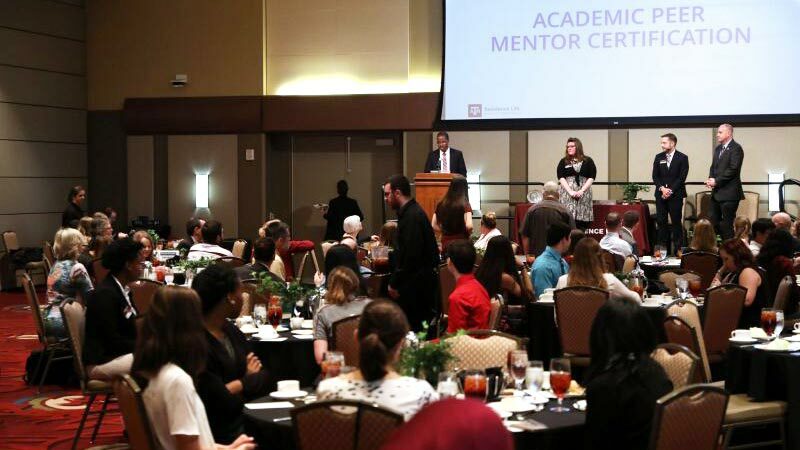 Honoring Excellence is a formal ceremony in which Texas A&M University students are given the opportunity to nominate faculty and staff members for awards and recognizes on-campus students who have demonstrated academic and leadership excellence, including those who achieve Distinguished Student status (Student Rule 11). Visit the award ceremony’s page for more details. Texas A&M University provides residential experiences commonly referred to as the Living Learning Program (LLP). The Living Learning Program is an umbrella term for all the communities within it, including Living Learning Communities, Residential Colleges and Themed or Interest Group Communities. Review the various Living Learning Programs available in Aggieland. Employment opportunities for students are plentiful in the Department of Residence Life. In addition to offering numerous full-time and professional positions, the department is one of the largest employers of students. On-campus employment offers the convenience of working for employers who are flexible with students’ class schedules, walking between work and class, and, (in many areas) the same vacations as the University (winter break, spring break, summer, etc.). Study Spectacular occurs at the end of each semester from 8am on Reading Day through 5:00pm on the last day of finals. Large meeting rooms are open 24/7 during this time frame in order to provide our on-campus residents with a quiet environment that is conducive to their studying. Some rooms that are opened include the Multipurpose Rooms in Hullabaloo Hall, the Commons, the White Creek Activity Center, and the White Creek Community Center, as well as the Gardens CLC (Community Learning Center). Free coffee and snacks are provided throughout the event to keep you fueled for finals. Students from Engineering Honors will be available in some locations to provide moral support, assistance, and upperclass guidance! Please refer to our Calendar for specific dates. 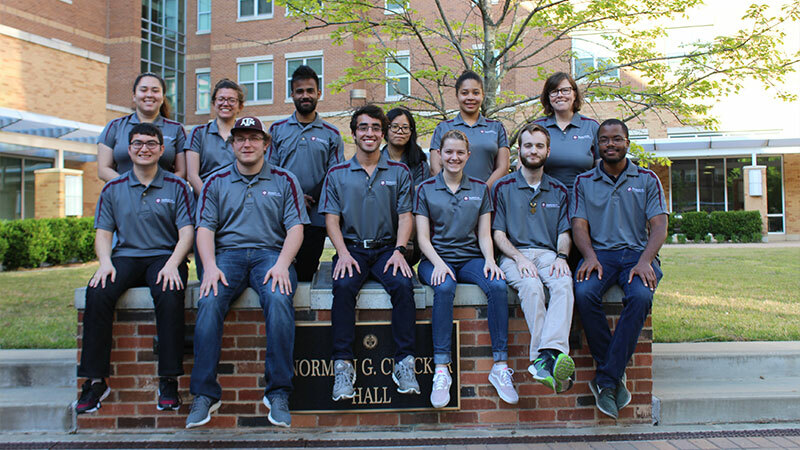 Within the Academic Support Initiatives area within Residence Life, on and off-campus students are able to apply to participate in and undergraduate and graduate research team. Residence Life – Academic Support Initiatives is pleased to house the research team because of the many benefits the experience will offer students. Students who participate in an undergraduate research experience show greater gains in disciplinary knowledge, information literacy, communication skills, and a clarification of career paths (Lopato 2010). Studies by the Undergraduate Research Opportunity Program (UROP) at the University of Michigan and Nagda et al. (1998) found increased student success, retention, and graduation rates related to student researchers. Learn more about the current assessment and research being conducted by the department or learn how to apply.